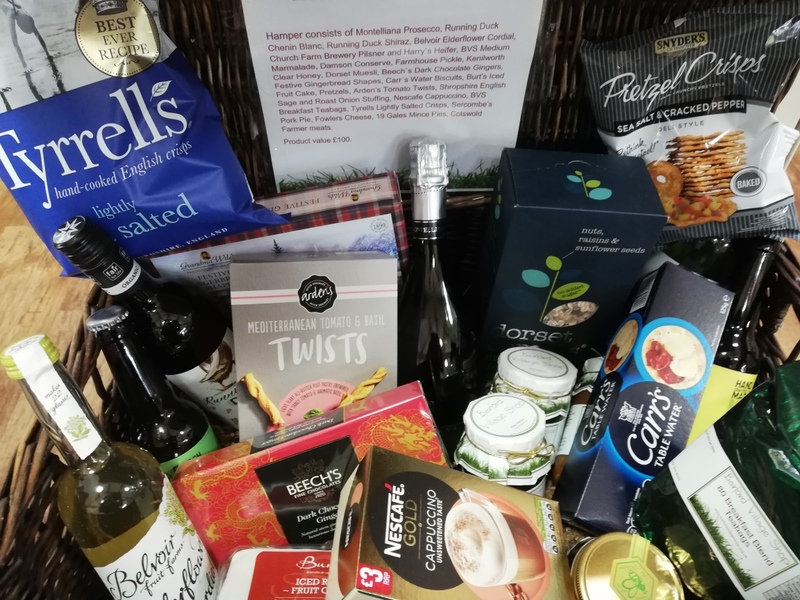 The 10th Birthday Hamper was won by Gill Jones. Congratulations to Gill – lots to enjoy! Shared with many and went down well. 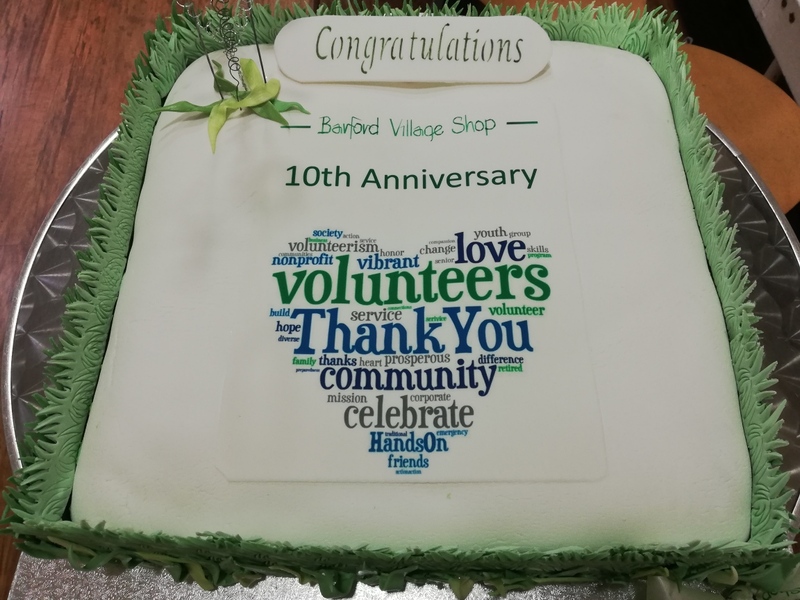 Ten years ago on 1st November, Barford Village shop first opened its doors. The shop has been a great success. It opens every day of the week, has never had to close and is manned by volunteers. Most volunteers do a 3 hour shift once a week, some do more. The shop has a full time manager, Corenna Jennings who comments “Many of our volunteers have been with us since the beginning and we need to celebrate their dedication”. 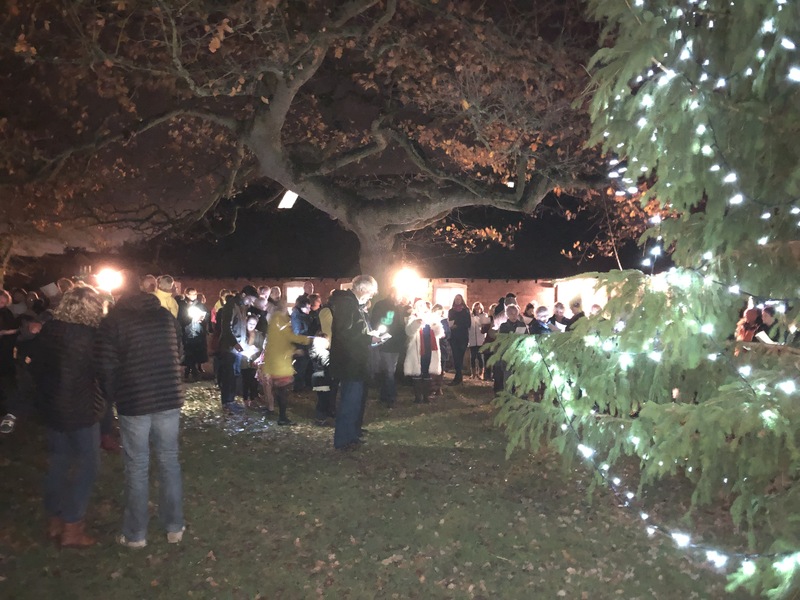 Through fund raising, grant income and a share issue to over 500 local residents, the £250,000 had been raised to make this a reality. The shop incorporates a Post Office with Rod Scott its post master. It also has a cafe with Wi-Fi access. This social aspect provides a place to meet, help for those in need and a source of information. Over the ten years the shop has won various awards and was visited by the Duke of Kent when he opened the enhanced King George’s field. 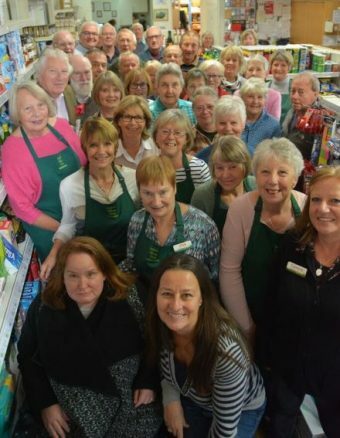 Amanda Griffin, the chair of the shop’s managing company said “When people come together, great things can be achieved”.